Background/Info: Manic Depression Records seems to have something with artists from the Northern part of France. Next to Dead Astropilots they also signed Egorpisme, which is a solo-project driven by Jean-Marc Le Droff. 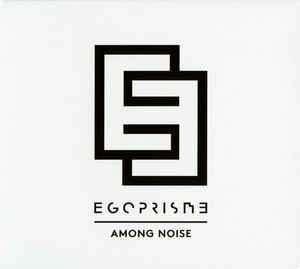 Egoprisme previously released 2 EP’s while we now get the debut album “Among Noise”. Content: From the very first seconds you can hear the electro-wave/new-wave inspiration of this musician. The songs have been composed with alluring electronic parts, but also with typically 80s guitar playing. The songs have been sung in French and English. A few guest artists contributed to this work, sometimes resulting in noticeable cuts. I also noticed a few harder electro-driven cuts, which can be now into EBM and then revealing a more modern approach in writing. + + + : This album is made for lovers of vintage electronics and 80s new-wave music. 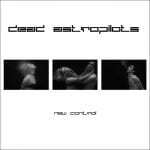 The dry snare drums, synth lines and guitar bring us back to the past, awakening in the midst of the glorious new-wave decade. Egoprisme has perfectly recreated this typical atmosphere, but is still revealing a touch of modernism (cf. “Fast Fashion”). 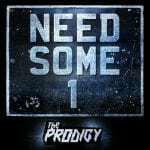 I’ve been also impressed by some of the electronic treatments featuring a devastating EBM bass line running through “Among Noise” or the strings on “Call Of Duty”. Another noticeable song is “La Plage” for the male – female duo vocals. – – – : I can’t really speak about a regret, but all songs remain pretty short (less than 4 minutes). You don’t hear me to complain as it was quite usual for the 80s. Conclusion: Egoprisme is not innovating, but simply getting us back to the thrilling period of the 80s. This work is perfumed with a delicious flavor of nostalgia and accentuated by wonderful songs. Best songs: “Among Noise”, “I Am The Sun”, “La Plage”, “Twisting”, “Etandard”, “Le Vertige”, “Fast Fashion”.